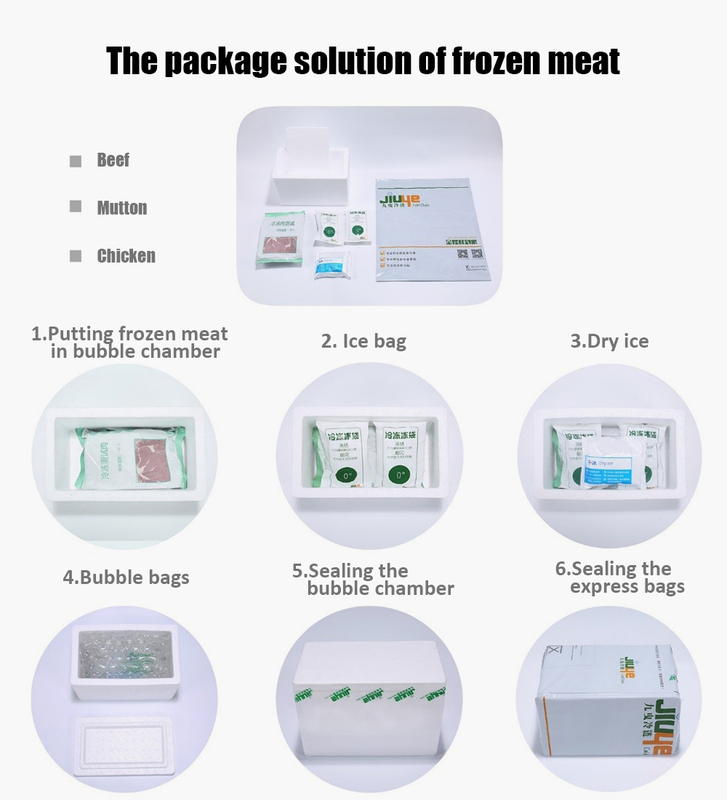 According to the categories of the frozen beef and mutton, JIUYE Supply Chain makes use of all its cold chain storage, transport devices and tools to provide customers with services from the products origins to targeted warehouses. The services include route transportation, storage, sub-warehouse distribution, e-commerce warehouse shipment, inter-city and door-to-door delivery. Programs can be adjusted to meet customers’ specific requirements for content, destination, time and packages. Examples: Beef and mutton produced in Inner Mongolia are transported to cold warehouses in Beijing through artery traffic, and then to JIUYE’s sub-warehouses for cold storage. 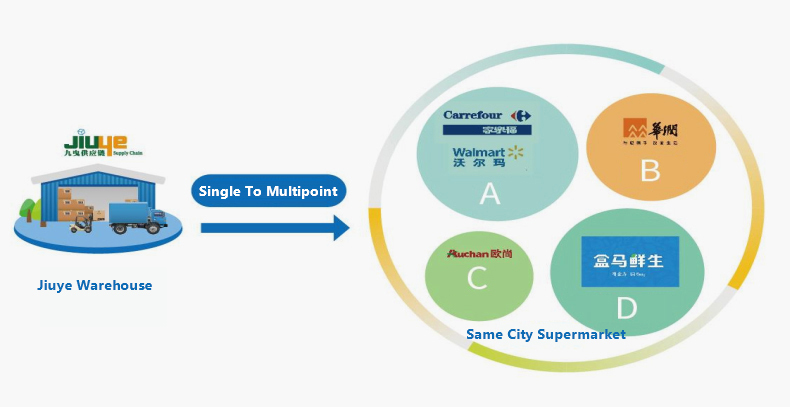 Sub-warehouses in Shanghai, Guangzhou, Wuhan and Chengdu can meet the demands of east China, south China, middle China and west China respectively. Those sub-warehouses can engage in relevant deliveries to e-businesses, cities and homes. Logistics cost Beef and mutton are mostly produced in Inner Mongolia, Xinjiang, the northeast or north west of China, while the products are sold primarily to the eastern coastal areas. Transport of each order costs a lot. Products are delivered from artery traffic to the sub-warehouses of the targeted market, where they are then sent to the consumers. 40% of logistics cost can be saved. Customer experience Customers wait for at least three days if their orders are delivered from the products origins. Ice bags , as well as beef and mutton, have defrosted, leaving a frustrating customer experience. Delivery arrives the next day. As the temperature is still low, ice bags, beef or mutton, are in good shape, making sound customer satisfaction and great re-ordering chances. JIUYE Supply Chain has set fresh cloud warehouses in 14 cities in the country. 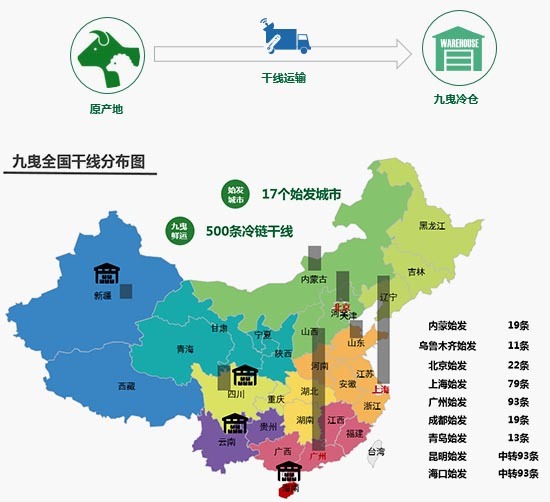 When beef and mutton are transported there, JIUYE trunk transport is responsible for warehousing and delivery , hence improves the distribution efficiency and expands markets. JIUYE aims specifically at home delivery business of frozen beef and mutton. It customizes professional packing programs according to customers’ requirements, properties of meat, specified weight, delivery timeline, assists customers in their test of packages. 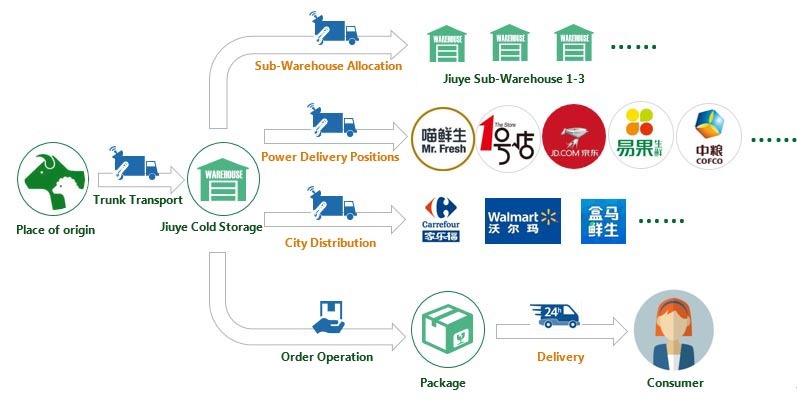 Home delivery of JIUYE sub-warehouses covers 24 hours the following areas. We cooperate with SF Express to serve others areas. JIUYE suply chain provides e-business warehouse delivery for customers selling beef and mutton in big e-commerce platforms. 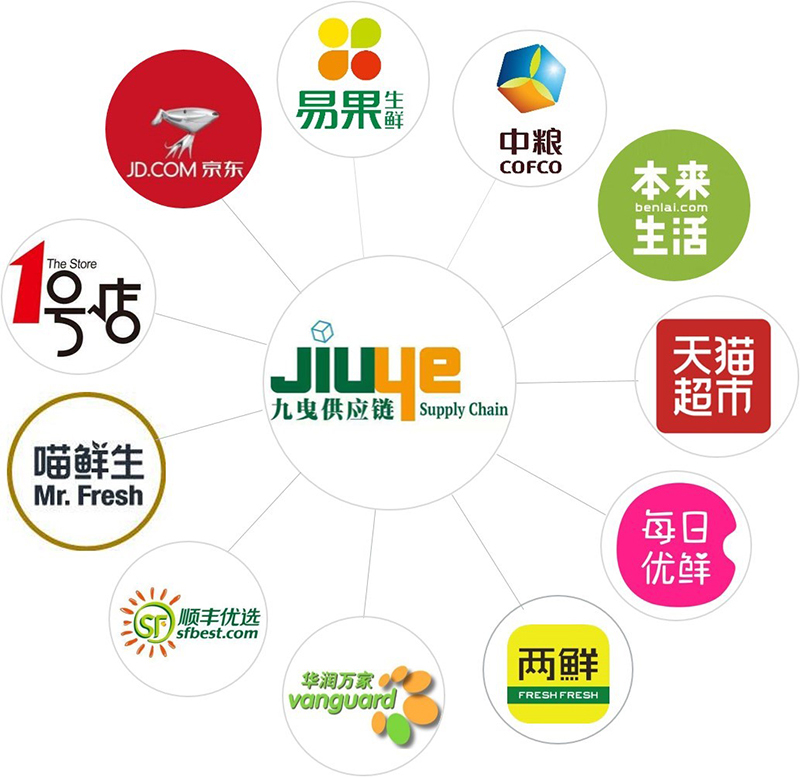 JIUYE has opened more than 10 e-commerce warehouses across the country for platforms like JD, Yiguo, YHD and SF Best. Sub-warehouses can respond quickly for a seamless connection between online and offline. JIUYE can fulfill such services as delivery appointment, partial cargo handling, temperature check customs clearance, professional consultation and reverse logistics.